The Hard Hat represents a blue collar culture where staff, students and parents have to roll up their sleeves and grind each day. The work is at times is very challenging and intense. 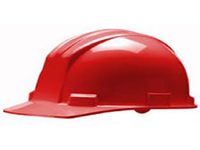 Success requires us to bring our lunch bucket, roll up our sleeves and put on our Hard Hat and build every day. We don’t build buildings we build people. Like construction work which requires a Hard Hat- the environment will be tough at times. Like construction workers we have to work hard every day regardless if it 100 degrees out or cold and raining. 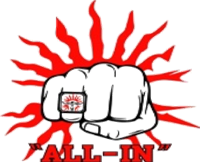 All In represents a closed fist that symbolizes ALL IN. We have to be all in to succeed. We can not be partially in or not in at all to attain success. The ring represents graduation which is the capstone we are after. Like a Super Bowl Ring- it symbolizes greatness of being All In. The treasure chest symbolizes the gold and treasure we seek for each student. The real treasure in teaching is the relationships and memories we create. Kids don’t care what you know until they know how much you care. We want our students to seek the treasure of strong positive relationships in their own lives. Rita Pierson’s famous quote symbolizes our mantra . Each child needs a strong connection of an adult that insists and requires them to be the best they can possibly be . We have to push students to seek their potential. Row the Boat: Row the Boat – Everyone rowing the boat working together for a common goal. 2- The Boat- The foundation – the core – the core values - What is your boat made of? The boat is your personal sacrifice. What are you willing to sacrifice? Each member must be made up of and share the same common core values or the boat will sink! 3- Compass- this is the direction we are going in. We must know our destination. Our moral compass is a component of this as well. We must have vision and direction to where we are going. The goal is to get there as fast as we can.